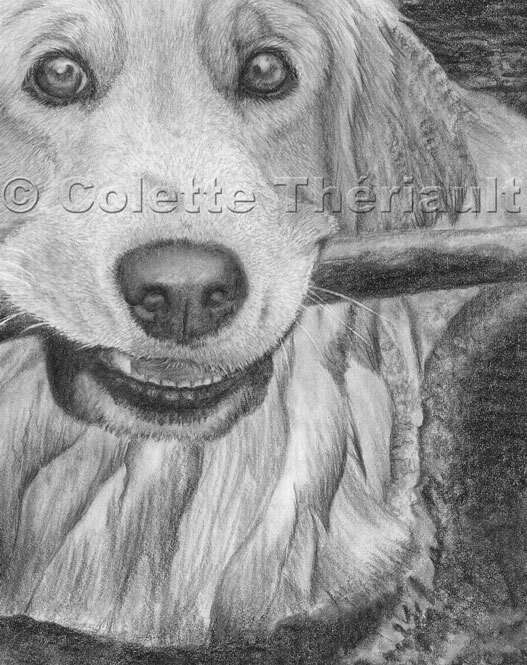 Custom dog portrait commissioned as a birthday gift by S. Angel, TX. 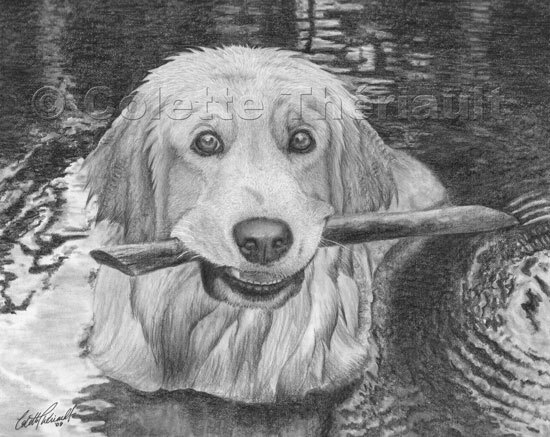 Hank is seen here retrieving a stick while enjoying swimming at a lake. "Hank Williams, Jr., Jr. a.k.a. "Hankey" has the sweetest disposition and the absolute biggest heart--not a mean bone in his body. He just wants to get in your lap and put his paw on your leg; in fact, he's never met a stranger. He loves the outdoors, especially swimming in the water and romping around in the snow. He also LOVES his frisbee more than almost anything--except for one; Dave. They have a very close and special bond! Really, Hank, " is just a big sweet, loveable "oaf."